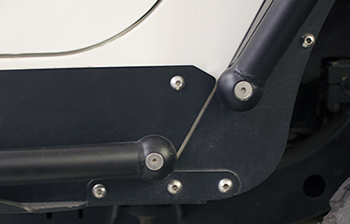 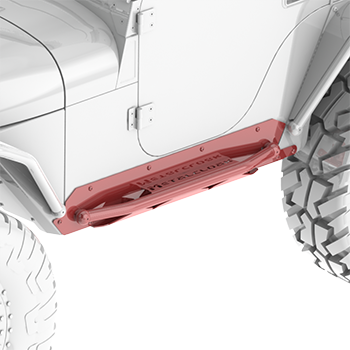 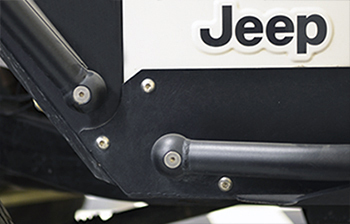 The MetalCloak CJ-5 Rocker Rails are fully integrated rocker protection that utilizes a dual linear bolt pattern on the tub with the first pattern below the door and the second pattern below the axis of the step preventing the "can-opener" effect seen in other rockers. 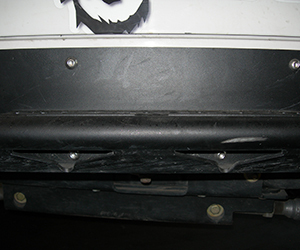 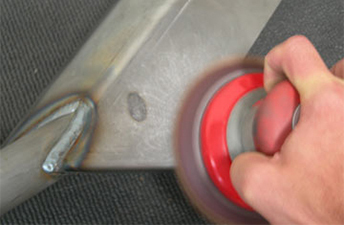 The true integrated skid plate runs from under the tub to the tangent of the tube step creating a perfect source of force deflection. 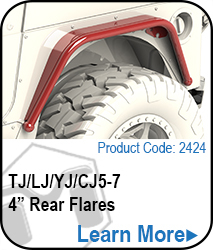 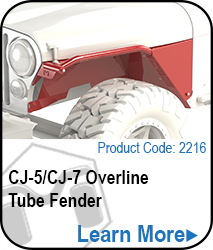 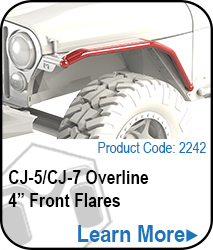 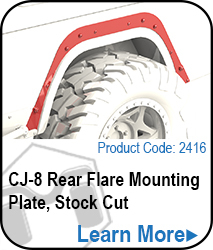 Note: 72-75 CJ5's may require additional modifications for install.